For the second season in a row, our superb U18s have reached the first round proper in the FA Youth Cup and face a cracking tie against Sutton United on Thursday night under the floodlights of the Dripping Pan. It was 10 years ago when the likes of David Wheeler and Grant Hall were part of our all-conquering 2008 youth side who memorably reached the third round proper of the competition, a feat only achieved by two other Sussex non-league clubs in the cup’s 66 year history, only for them to unluckily lose 2-1 to Hull City in front of over 650 at the Dripping Pan. 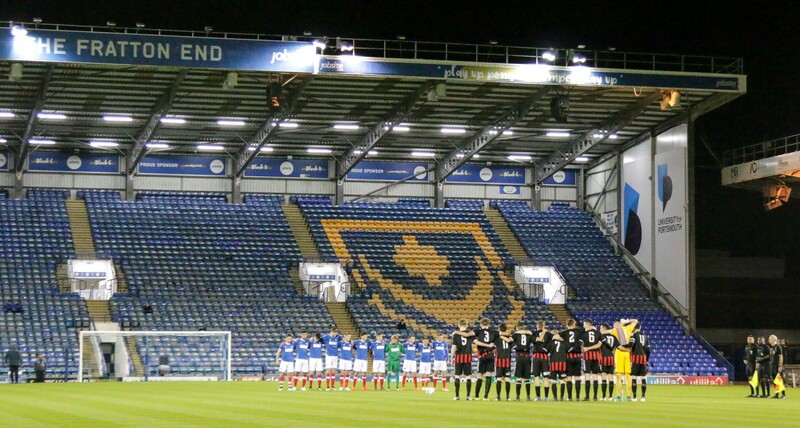 Last season, a memorable run to the second round was only halted by an impressive Portsmouth side that eventually showed their quality to beat the courageous Rooks 3-1 at Fratton Park. This season’s run has been equally impressive under the watchful eye of gaffer Dale Hurley. In their previous matches in this season’s competition, Hackney Wick were successfully negotiated at the Pan with a 6-2 victory – Dylan Gifford’s hat trick and Leone Gravata’s brace doing the damage. Next up was the tough trip to last season’s Academy Champions, Dover Athletic, but a resounding 4-0 away win was more than enough to progress. Tougher was yet to come as Croydon waited in the third and final qualifying round – and after 60 minutes, two players injured and two nil down it looked like the run was over but an unlikely fight back, inspired by two goals from skipper Ross Barclay, became a reality when Alfie Headland slotted home to make it 3-2 and complete the incredible comeback. Our opponents on Thursday have impressively beaten BognorRegis Town and Whyteleafe to reach this round and while their Bostik Youth League form has suffered as a result, their Academy side is unbeaten this season. Sutton’s main goal threat this season has come from forward Juan Castillo although their goals have also been shared between their other attacking players. Its attacker Dylan Gifford who leads the Rooks goalscoring charts on ten goals but with Ross Barclay on five and Leone Gravata and Elliot Bennett on four each there’s been no shortage of goals this season. In fact we’re currently scoring at over four goals per game, with a whopping 37 goals in just 8 matches this season. Gaffer Dale Hurley commented “We showed unbelievable character in the previous round at Croydon to get ourselves back in the game and I’m glad we’ve been rewarded with a home tie. We started slowly in the first half but we made some tweaks, changed our shape a little and the boys did the rest and I couldn’t have been any prouder. Any side reaching the first round proper will be decent and we know Sutton will be a tough test but if we ensure we give everything we’ve got then we’ll be in with a chance”. Assistant manager Craig Stevens added “Playing in the FA Youth Cup is a great occasion for any player and Thursday’s game should be a fantastic contest between two strong sides. The second round proper is a great incentive for both clubs and I hope we can get a decent crowd in to cheer on the lads.They certainly deserve your support”. Please come along to support your Rooks of the future onThursday 1st November, 7.45pm kick off at the Dripping Pan.